As specialists in luxury travel Peru, at Aracari we understand the needs of VIP clients perfectly. We have over twenty years’ experience in taking care of the most discerning guests and provide a variety of tailored services for private charters Peru. Our bespoke travel Peru arrangements include: private charter flight services, helicopter flights in Lima, Amazon private charter cruises, private boats and yachts, private trains, private villa rentals and more. Private charter services can be arranged in destinations across the country for VIP clients. In addition to the added comfort, privacy and convenience, private charters enable access to some smaller airports – and therefore harder-to-reach destinations – that are otherwise not possible to reach using commercial flights. To visit the Nazca lines as a one-day tour from Lima, we recommend doing so using a private charter flight. Flights from Lima can be arranged to the airports of Pisco or Nazca, to then take the scenic flight. 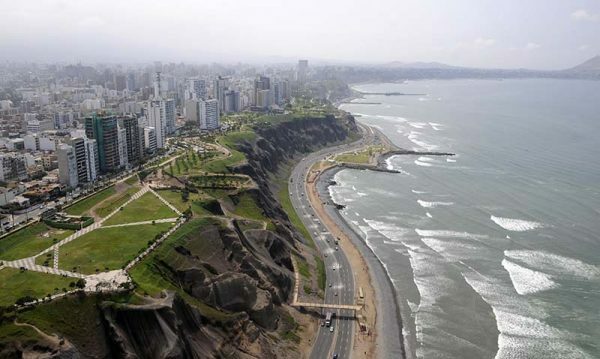 We can also arrange private helicopter rides over Lima. Please note: scenic helicopter flights are not permitted over Machu Picchu due to its UNESCO heritage status. 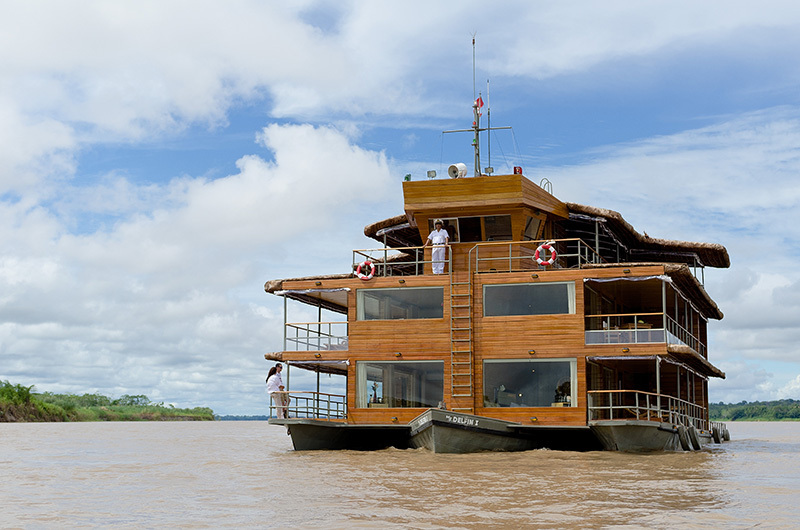 With private charter luxury amazon cruises, enjoy first-class accommodation, gourmet food and spectacular sunsets as you cruise through one of the world’s largest protected flooded forests, the Pacaya Samiria reserve. With impeccable service and expertly guided wildlife excursions, chartering a luxury cruise is an exclusive way to explore the Amazon river and view wildlife in the rainforest with family or friends. There are vessels to suit different group sizes. 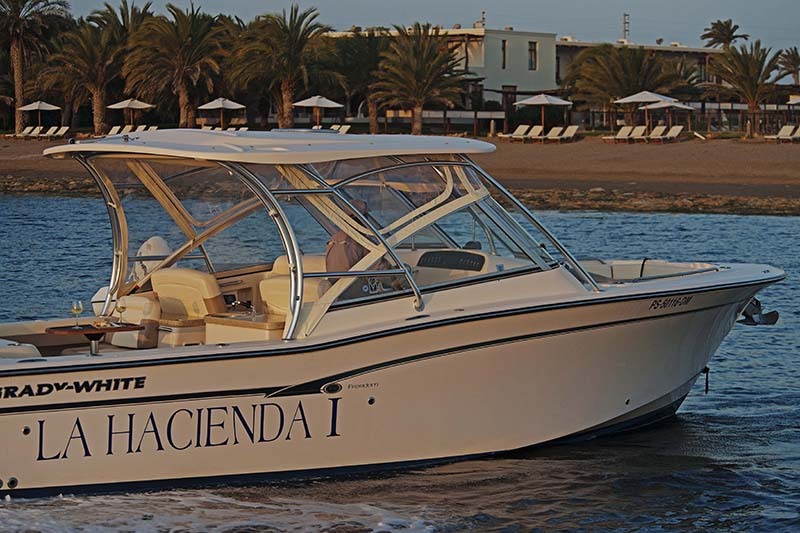 Delfin I is the most intimate, with just four cabins. Located south of Lima, Paracas is a coastal desert town best known for viewing wildlife on the Ballesta Islands just off the coast. Sail by private yacht to spot penguins and sea lions, with lunch prepared by your private on-board chef. Toast with a glass of chilled champagne to an amazing adventure in Peru as part of our tailormade trip Peru services. Private yachts and speedboats are also available to charter to visit the Palomino islands just off Lima’s coast. On Lake Titicaca, there is the unique option of privately chartering a working Victorian steamship, The Yavari. The vessel is steeped in history, having journeyed from London to Lake Titicaca. 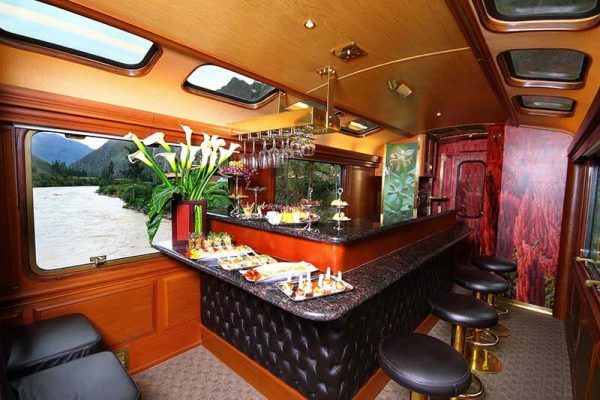 The most luxurious way to arrive at the sanctuary of Machu Picchu is traveling on the Private Machu Picchu Train, a private train carriage for up to 10 people. Relax in comfort and style with champagne and gourmet food as you journey through the hills to the ancient citadel as part of our bespoke arrangements for Machu Pichcu luxury trips. For more details and advice on options for private charters Peru and Bolivia. All of our services and itineraries are private and tailormade according to your needs.